Although I did not plan my trip to Cincinnati around the Gluten-Free for Cincinnati expo, it certainly was incredible timing for it to take place during my birthday week while I happened to be in the city. 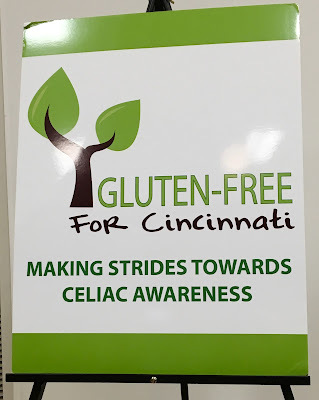 Organized by a local non-profit founded by a Cincinnati family whose young kids were diagnosed with celiac disease, this expo promised to bring together local and national vendors for a day of education, awareness, and gluten-free foods. Despite a drizzly start to the day, the turnout for the event was great, with each classroom packed with attendees. Although I recognized the national brands that were sampling items, what was really cool was getting to know the local companies, which really opened my eyes to local companies I will definitely be a patron of whenever I am in the city again. 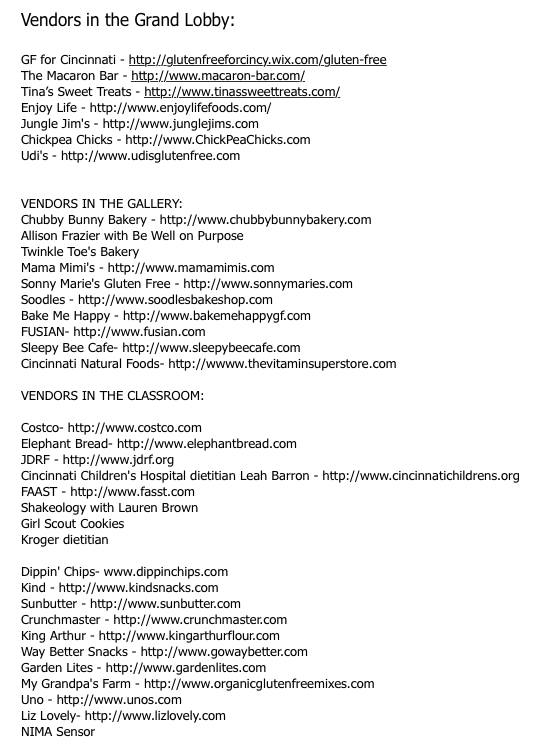 This post is a sampling (pun intended) of the vendors that caught my eye and definitely deserve a shout-out. Some I will be providing extended reviews on (links will be posted once the reviews will be published), so watch out in coming days for more from this amazing event. Before diving into the reviews, I have to give a shout out to the organizers of the event. Despite tight quarters in some of the classrooms, the vendors were accessible and the crowds were able to flow in and around the area without bunching up in one place. Although I didn't stop at their booths, I was impressed to see so many medical professionals and stores there, proving that gluten-free families need medical support and access to gluten-free food in the community. I definitely was a quality expo, and I hope to see it grow more and more over the years! Already familiar with most of Glutino's products, I got to sample their new frosted toaster pastries. 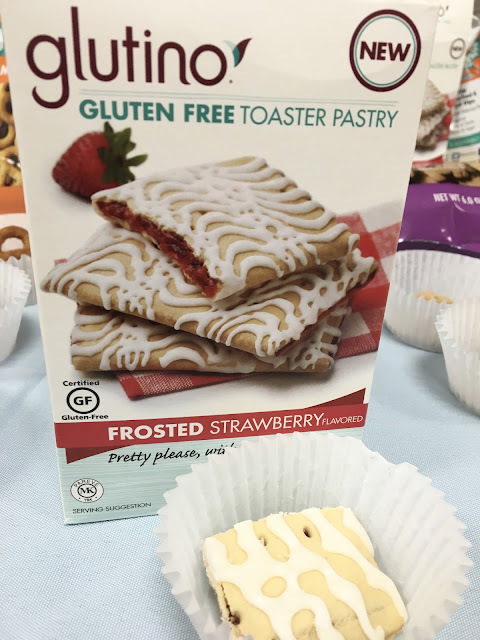 I never was a Pop Tart fan in my gluten-eating days, but these really were delicious. Fruity, sweet but not too sugary, I was surprised by how much I enjoyed them. While I may not be a toaster-pastry-every-day kind of girl, I definitely will be buying a box for my dorm. 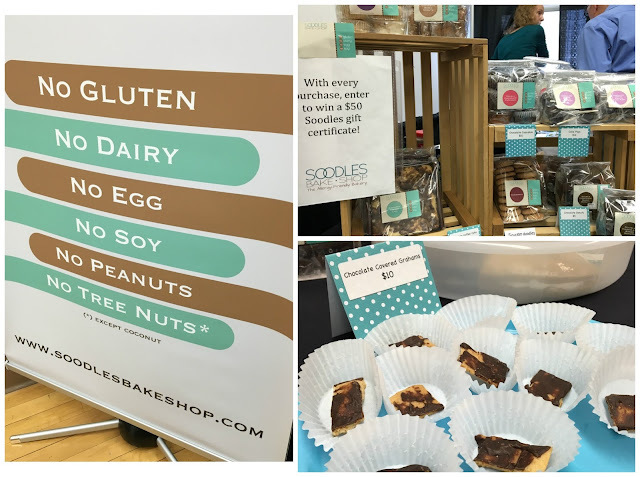 Hailing from Columbus, Soodles Bake Shop brought an assortment of treats that were free from the top eight allergens (except coconut). I sampled the chocolate covered grahams, which were reminiscent of a marshmallow-less s'more, and loved them. I regretted not purchasing more items to try. They'll definitely be a stop I make when I'm next in Ohio. 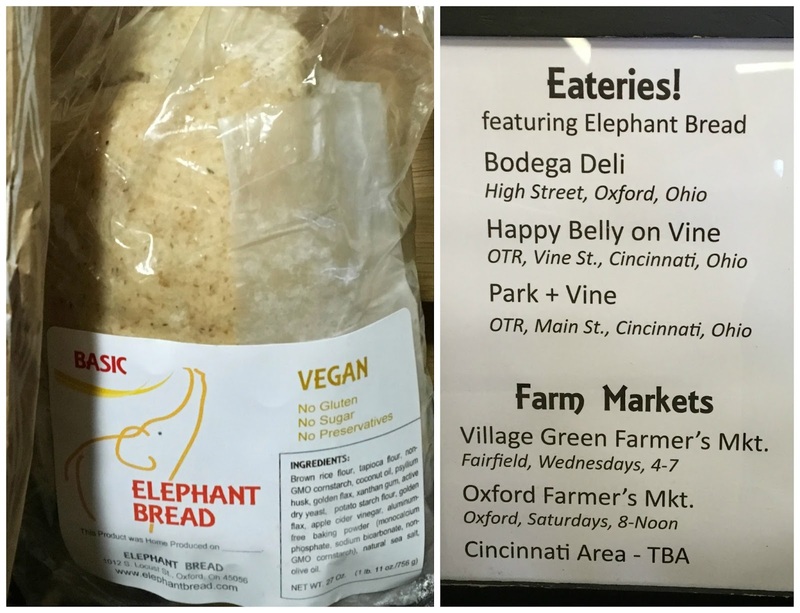 I stopped in my tracks when I came across Elephant Bread's booth. How often do you find baguettes and normal-sized loaves of bread? 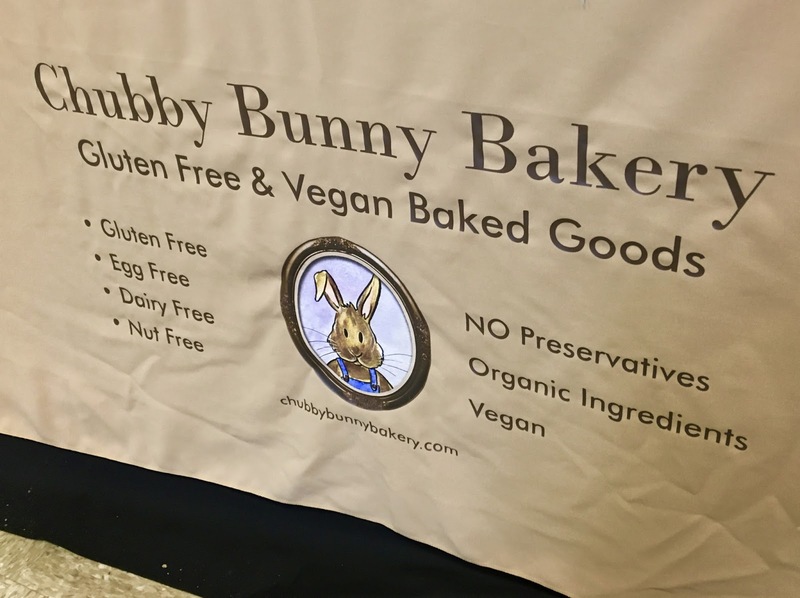 While not all products are dairy-free, vegan options were on hand. 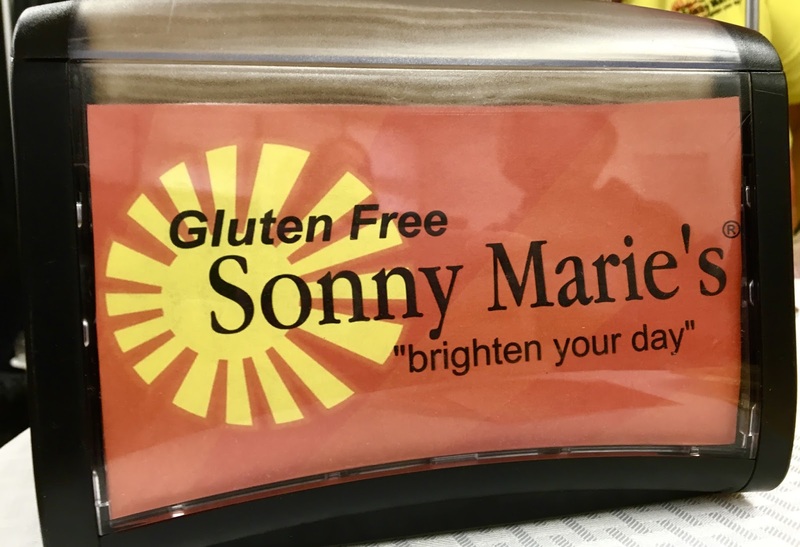 I loved chatting with Mary, the founder and baker, and loved her passion for baking and serving those with food allergies. A full review is coming soon, stay tuned! Chubby Bunny not only earns points for being multiple allergen-free and vegan but also for their super cute name and mascot! Operated out of the founder's home, the Bakery does not have a storefront, but hopefully someday soon will. Coming soon is my take on the baked goods I bought at the show. As a blogger affiliated with Enjoy Life Foods, I am familiar with their line up of top eight free cookies, mixes, and more. 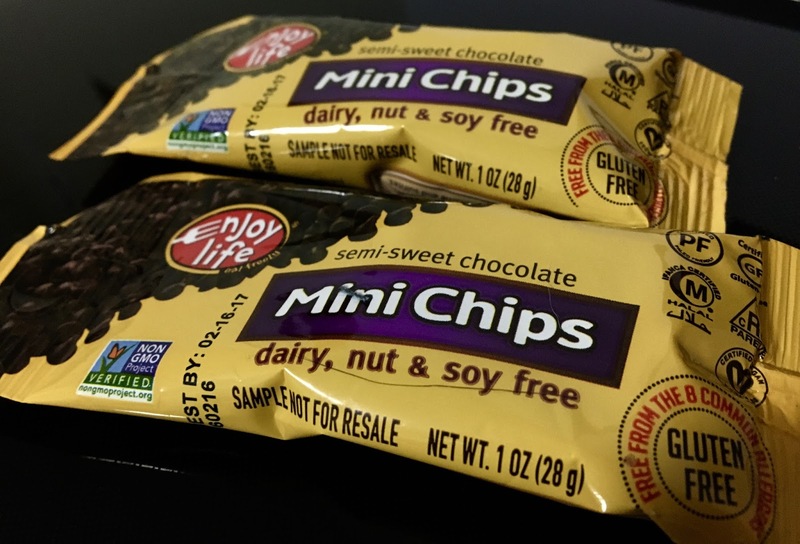 Of their products, their chocolate chips are my favorite, which is why I was thrilled to find mini bags of their mini chips. These snack-sized samples are perfect for portion control and a fun treat that can travel anywhere. Who doesn't love eating chocolate chips straight up? Because it was my birthday week, I knew I wanted to get cupcakes while in town. 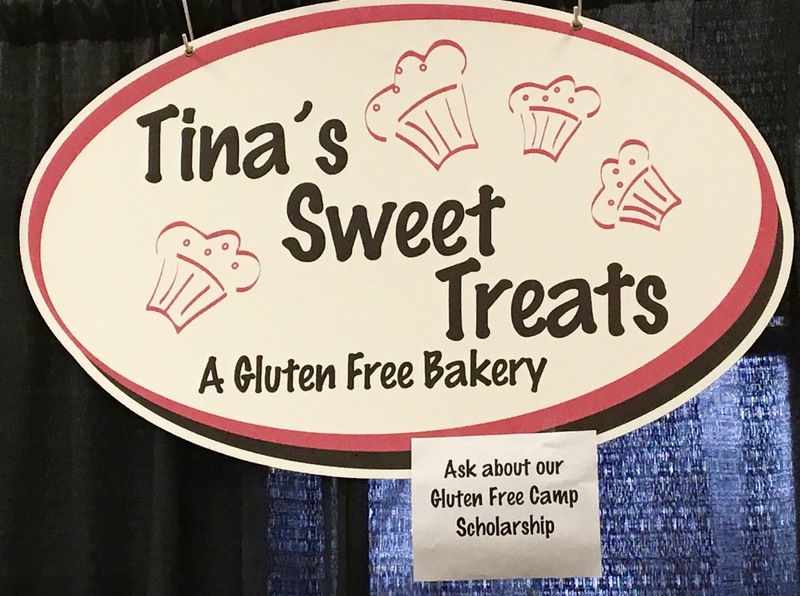 I selected Tina's Sweet Treats for the task because they are a dedicated gluten-free bakery in Franklin, Ohio. Stay tuned for an upcoming review of the cupcakes themselves. Although their other offerings were not dairy-free at the show, they had an impressive spread of treats on hand. With a 100% gluten-free bakehouse in Cincinnati, Sonny Marie's line of sweet and savory baked goods can be found in local grocers and restaurants. When I said I was dairy-free, the staff generously gave me brownies to sample. Chocolatey and moist, I liked the bite-sized cakes and ended up picking up a couple items to try at Jungle Jims (full review coming). Below is the full list of vendors at the event. 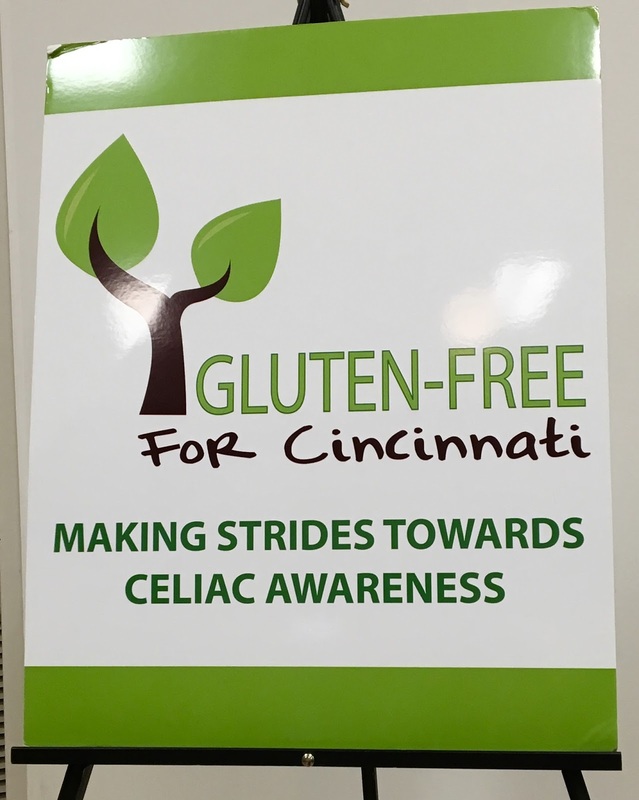 For more information about Gluten-Free for Cincinnati, including future expo details, an upcoming gluten-free day at a Cincinnati Reds baseball game, and area restaurants, click here. Disclaimer: I was provided all samples free of charge (I did purchase several products independently). I was not influenced or compensated in anyway, and all opinions reflected are mine, and mine alone.